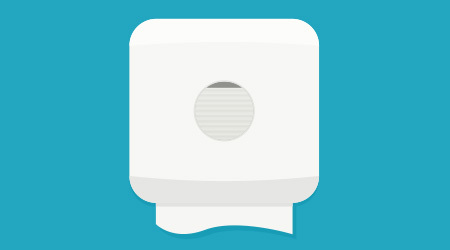 Xpressnap Signature dispensers feature a sleek, contemporary design with rounded edges and an enhanced color palette. Two dispenser types within the family are available: a tabletop model and an in-counter model. The tabletop model's lid opening allows for easier maintenance, while the in-counter dispenser is available in three depths and a universal cut-out size.